Pastured eggs cost a little more than conventional eggs and our farmers don’t apologize for this. In fact, they are proud of it. 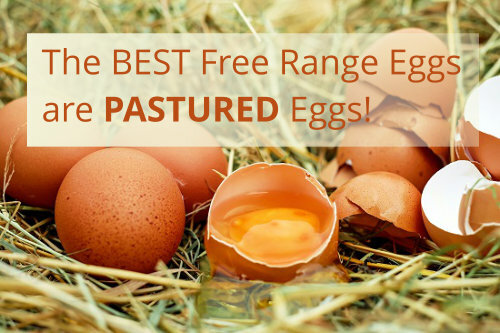 They are proud of producing great eggs in a way that is ethical, beneficial and sustainable. This raises an important question, how much do eggs really cost? In the supermarket, you might buy free range eggs for as little as $3.50 a dozen. That’s because the eggs are produced 'factory' style from hens that are kept in minimal space to maximize profits. These mega factories are an assembly line of sorts, systematically eliminating the need for human input, bird comfort, or any other detail that could improve profit. These so called farms are egg producing machines that can put a carton of eggs on the supermarket shelf for at such a small price yet still leave a tidy profit for the shareholders. Supermarket eggs (until the 'big 2' offer real choice on their shelves) are part of this industrial food model. Our farmers are not. Eggs are an important part of our diet. Whether they are fried, poached, boiled or simply holding together your favourite cake or supporting cream and toppings as a pavlova. You should care about were they come from, how nutritious they are and if they caused any harm or stress to the animals that produced them or to the environment in which they were farmed. It makes perfect sense that the BEST eggs are going to cost a little more. We should be more concerned with why CHEAP eggs cost so little! Think about it, should a dozen eggs cost less than a cup of coffee? Let price be your guide. Expect to pay double the $3.50 mentioned. It may even be a bit more, but good eggs are worth it!